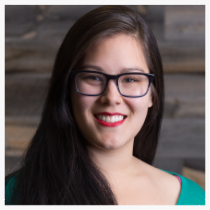 As StrataCore’s Operations Manager, Meghan oversees the management of StrataCore systems and analytics, including the upkeep of Salesforce.com. Meghan is also responsible for day-to-day office management, event planning, and assisting with marketing campaigns. Prior to joining StrataCore, Meghan cut her chops as a Market Research Assistant at Teva Pharmaceuticals in southeastern Pennsylvania. When not at work, Meghan enjoys hitting the gym for various dance, yoga, and BodyPump classes. She also spends quality time exploring Seattle, Skyping with friends from her hometown of Philly, or curled up with a good book.